Judith’s Selfie! John and I in happier times. 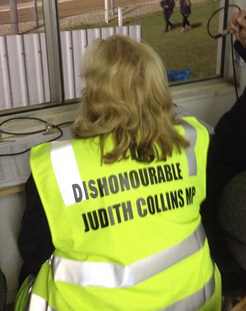 PCNZ POLL: What’s behind Judith’s back? See related story: What’s that behind your back? Toilet Paper? What’s behind your back? Toilet paper?